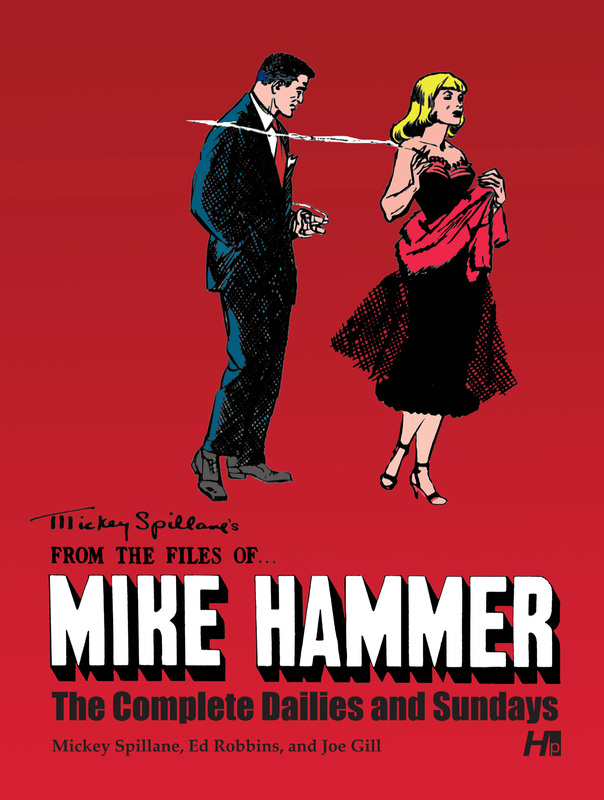 America's best-known hard boiled detective, Mike Hammer, returns with Hermes Press' complete archival reprint of the entire continuity, From the Files of... Mike Hammer! Reprinting all of the dailies and Sunday strips, this book will be the final word on this pop culture icon. The strip ran for only one year, 1953-1954, but what a year it was! The strip is pure Mickey Spillane and was crafted under his watchful eye with art by Ed Robbins. The feature has everything fans of Mike Hammer would expect: Mike, Velda, good girls, bad girls, gun-play and lots of action. 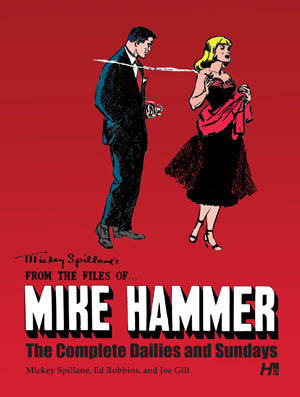 Accompanying the strips are two in-depth essays by noted mystery writer and Mickey Spillane friend and expert Max Allan Collins. New York Journal of Books: "With [Spillane's] prose complimented by the very direct and shaded stylings of artist Ed Robbins, these strips stand their ground with the best of Mr. Spillane’s novels."